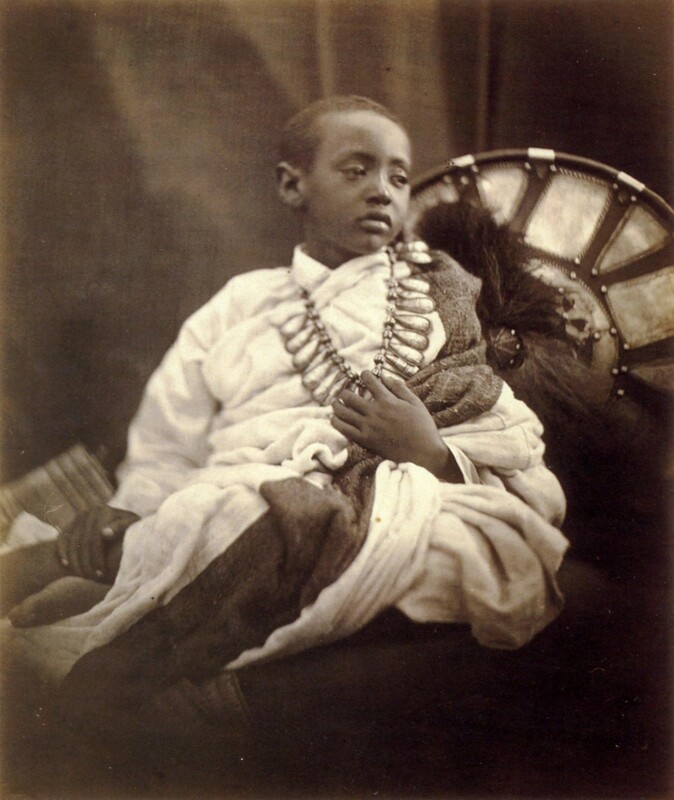 British photographer Julia Margaret Cameron (1815 – 1879) took this poignant photograph of Déjatch Alámayou, son of King Theodore of Ethiopia. The medium is an albumen silver print from glass negative, and it measures 29.2 x 23.3 cm (11 1/2 x 9 3/16 in). It is held by the Metropolitan Museum of Art, New York, United States, but it is not on display. Posted in Big Picture, Photography | tagged Africa, children, culture, England, Ethiopia, historical, Historical photograph, history, people, Queen Victoria, The Met, The Metropolitan Museum of Art, war. The permalink.